Show Gillette MACH3 system razors superiority! System razors are ergonomic razors where you can change the cartridge (also known as “blade”). They offer a much more comfortable and smooth experience than disposable razors. But the thing is that some people don’t know that system razors exist! Or they know but they shop in auto pilot mode and don’t even question their buying habits. Or they know about Gillette system razors but don’t understand the real value of it. 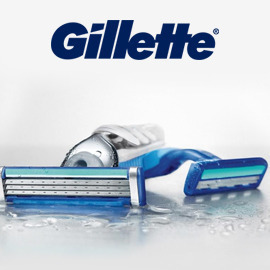 Grab guy’s attention with your catchy iconic creative visual for Gillette MACH3 system razors to show them how superior they are compared with disposable ones! Clich here to read the full brief! Send your creative visuals till June 28, 2015 23:59 UTC!